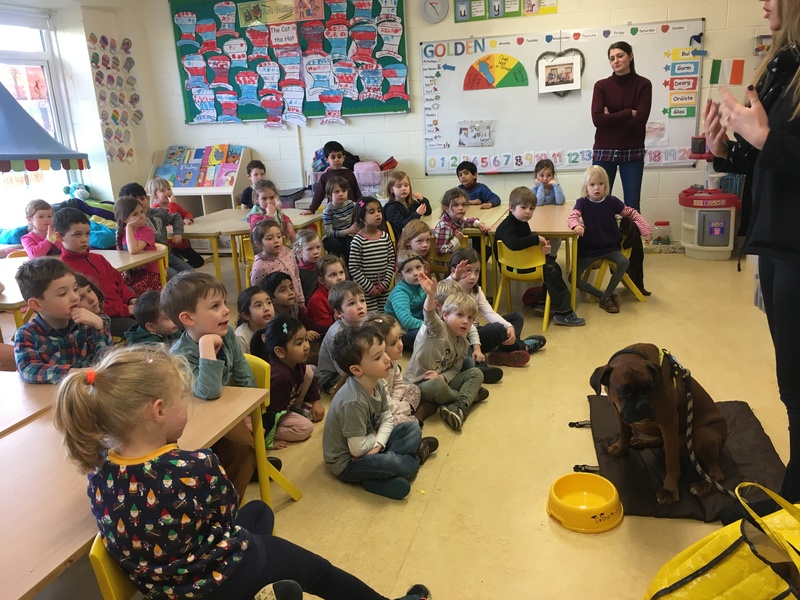 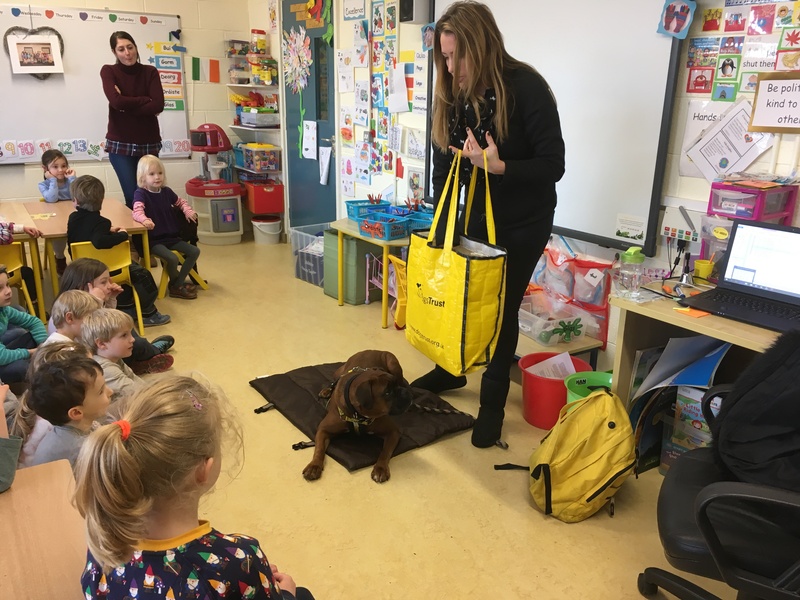 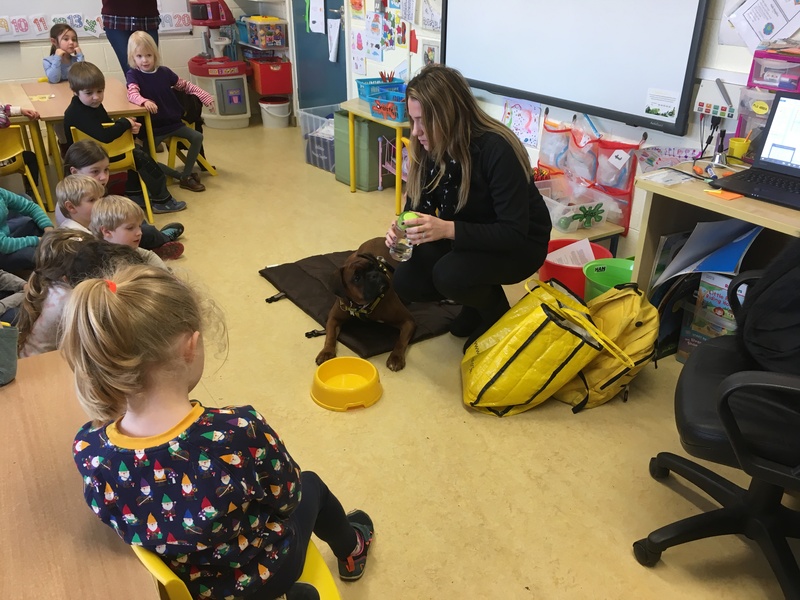 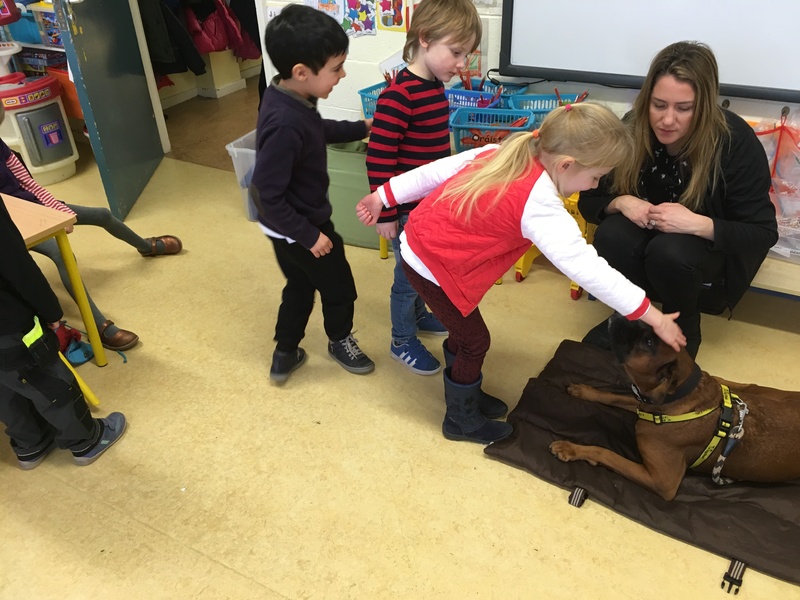 This month, we were very lucky to have a visit from Fiona and Ollie from Dogs Trust. 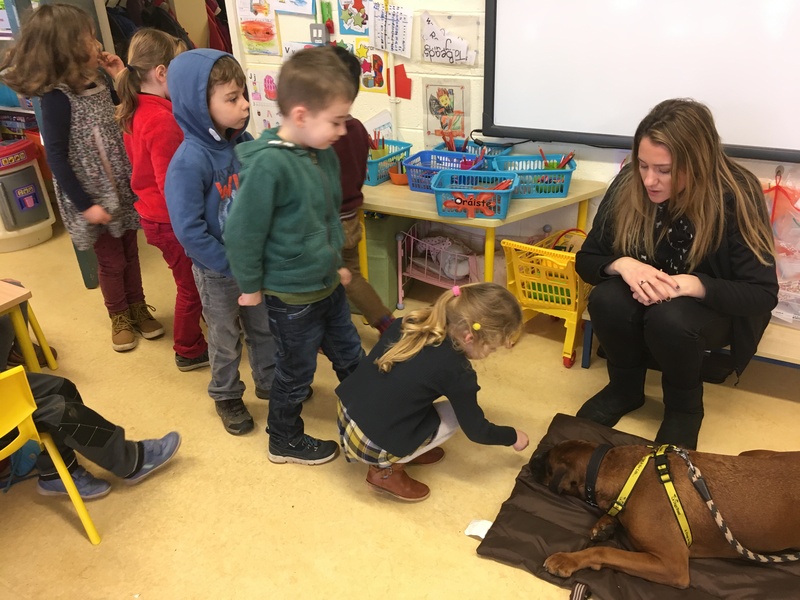 Fiona helped us to think about all the things that dogs need to be happy and we talked about how looking after dogs can be hard work. 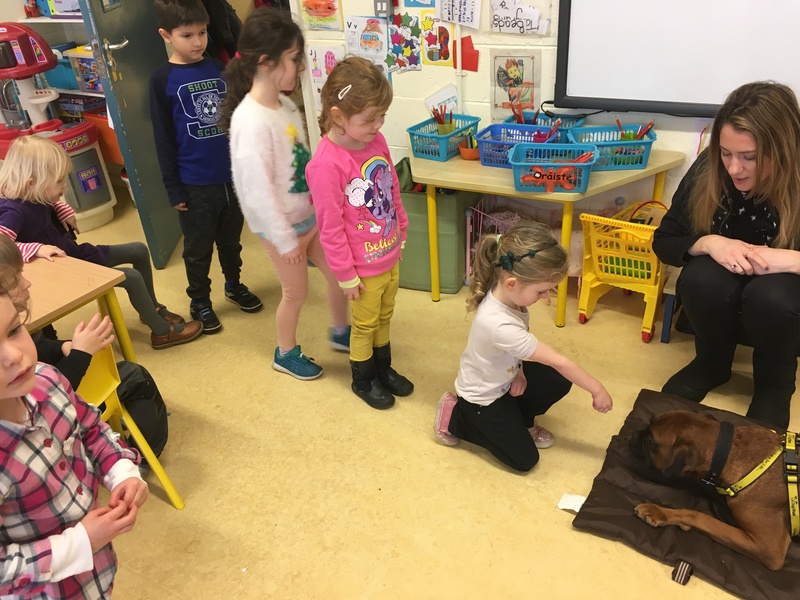 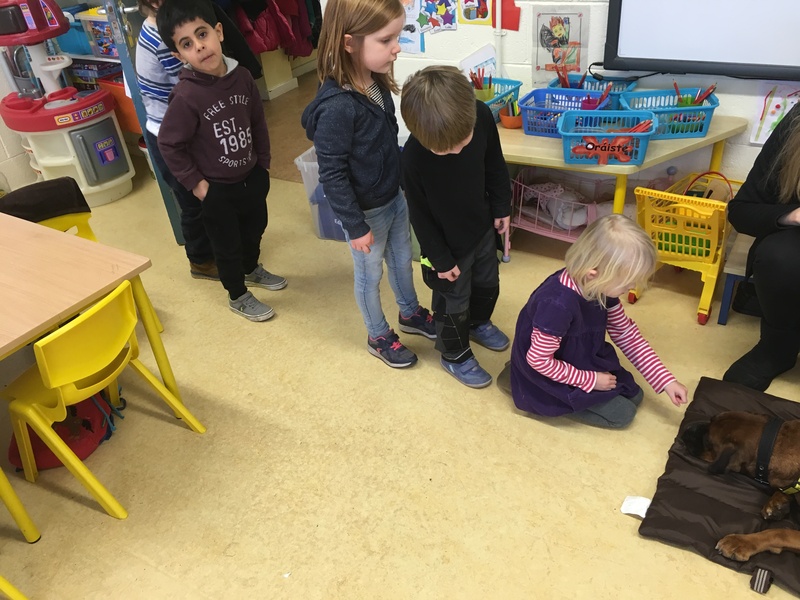 Fiona explained to us that we must always ask a dog’s owner before we pet it and she showed us how to pet it in a safe way, without scaring the dog. 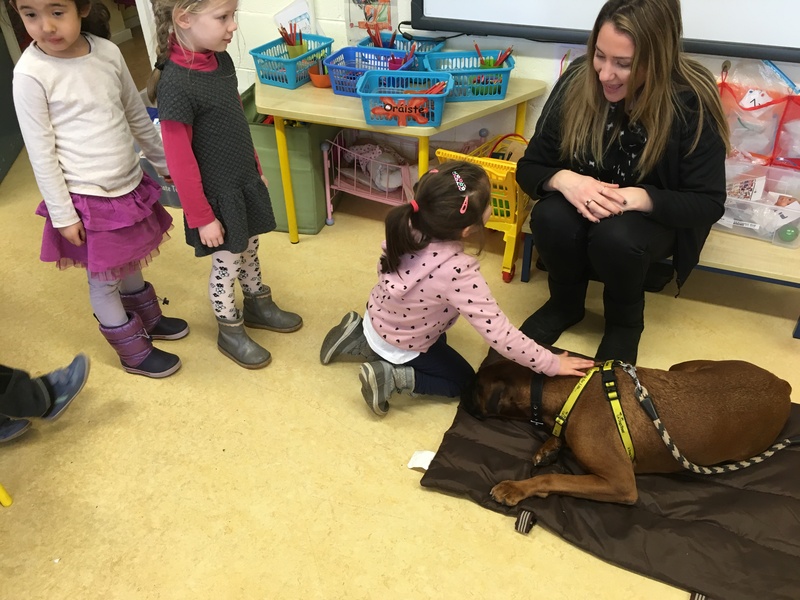 Ollie was happy to let the children pet him! 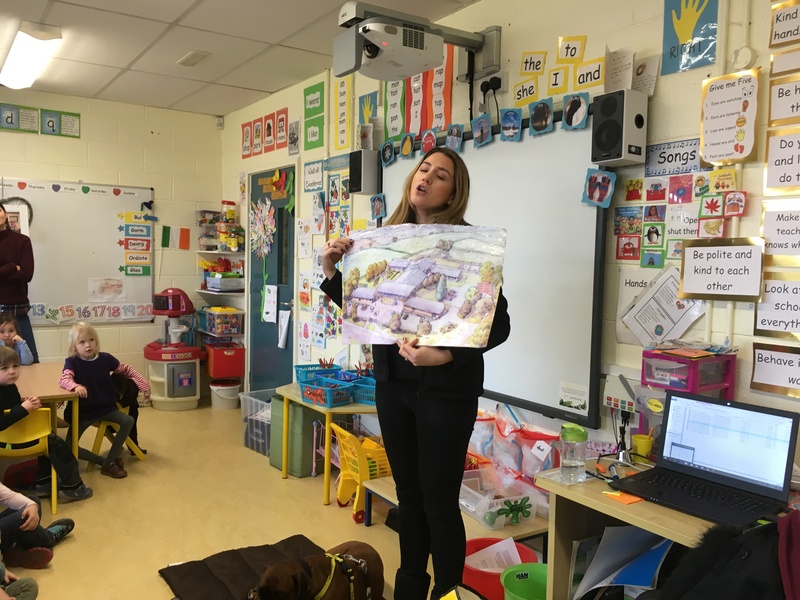 A special thanks to Jessica (Second Class teacher) for organising the visit!